Mophie has announced the launch of a new external battery case designed for the iPhone 5 in the form of the Mophie Juice Pack Air, which has been created to add an extra 1,700 mAH for battery power to your iPhone 5 without adding lots of extra bulk. The new Mophie Juice Pack Air has arrived just two weeks after the launch of the Mophie Juice Pack Helium external battery case also for Apple’s iPhone 5 device. Watch the video after the jump to see it in action. 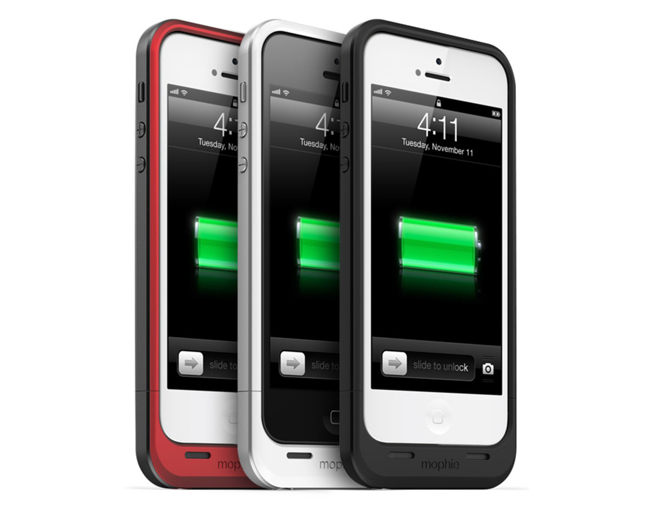 The new Mophie Juice Pack Air Battery Case For iPhone 5 is now available in either black, white or red and is available to purchase for $99.95, direct from the Mophie website.